Happy Friday! 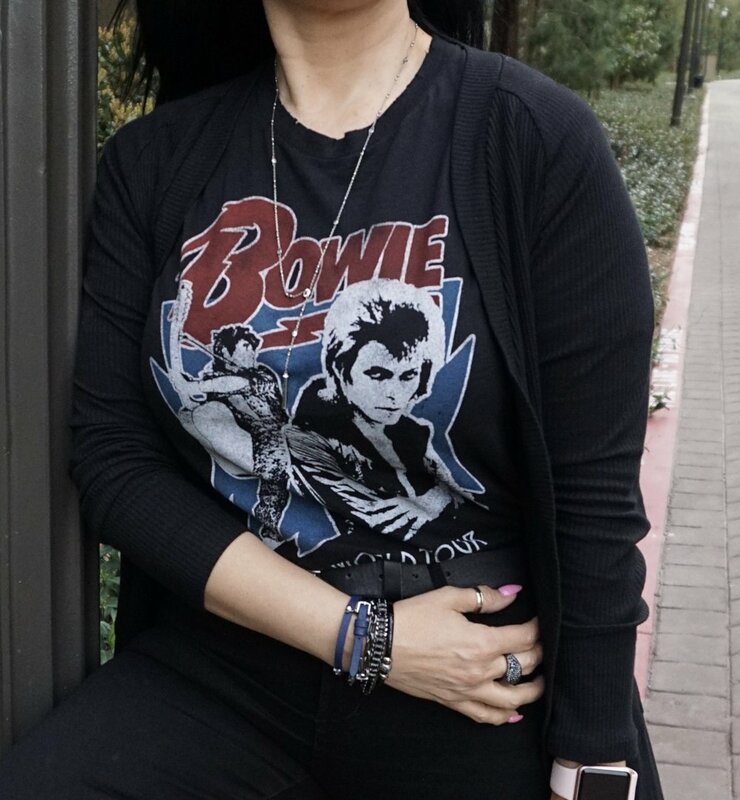 Today I decided to rock this "Rock Band Tee" David Bowie 1972 World Tour ðŸ˜� for a Rock n' Roll kind of vibe day!! American Eagle Outfitters Band Tee "David Bowie 1972 Tour"